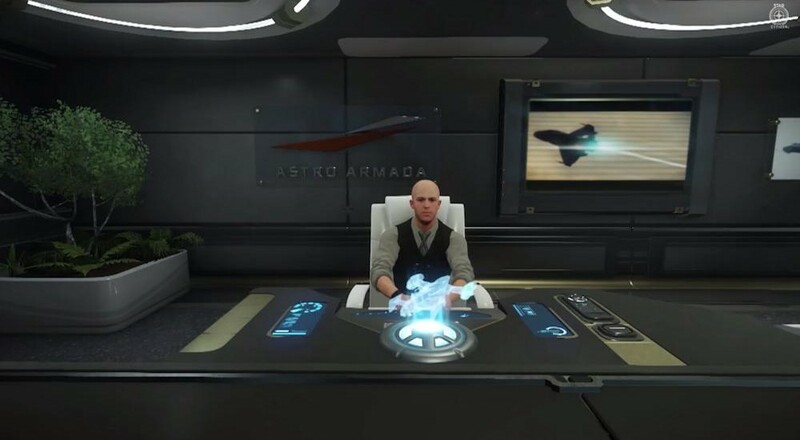 Roberts Space Industries have released a brand new five minute trailer showcasing the current status of Star Citizen, the upcoming epic space universe that has now reached over 75 million dollars in crowd funding. What originally started as a small space combat game has exploded into a huge universe with space combat, ground combat, economy and trading, and world exploration. The trailer gives us our first glimpses of the story mode in the game, called Squadron 42. Its here we'll see some co-op game play first take place. That said some of the upcoming modes of play will support player assistance on missions, where your friends can take the role of what would normally be NPCs. A lot of these features are going to be delivered to the 800,000 backers in the forms of modules, a few of which we've seen already like the Dog Fighting module. Arena Commander and the upcoming FPS mode called Star Marines will be coming at a later, undisclosed date. The game's core story mode is even further out, but will tie a lot of what we've seen together into a nicely presented package. If anything the game looks gorgeous and a huge undertaking in terms of size and scale. Page created in 0.4420 seconds.